These three souls are about to discover that sometimes the death of our dreams leads to the birth of our destiny. 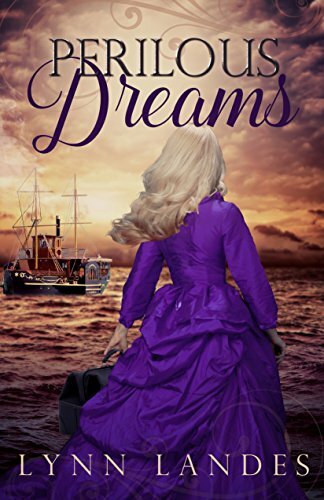 Pursued by a psychopath across a sea of dreams, Summer Denning watches her future unravel. Dr. Charles Denning moves his family from England to start his new post at the prestigious Harvard Medical University. Bound for Boston with his wife and three daughters, he is unaware of the danger that stalks them. On board the U.S.S. Kharon, twenty year old Summer works with her father while secretly planning her own future. Her plans take a turn when she discovers a plot against her family. The ship's doctor, Jung Rudolph, has been waiting for the moment when he could strike and steal her father's medical journals. Summer runs, taking a job as a housemaid for a Boston family. Intending to hide until her brother can get to her from England, she is not prepared for temptation in the form of a little boy and his handsome father. Widowed, architect, Victor Yates is busy raising his son after the war. Determined to restore his son's heart, he is unaware that the new maid is the key to healing his family.